Never Use Paypal With Walmart! Paypal is a wonderful method of payment that allows you to avoid giving your financial data to various websites that accept it. For reasons unknown some merchants can’t seem to handle using Paypal as a payment option. Either there’s an initial error in the transaction, an inconsistency in the data you provide to the merchant, orders are never fulfilled, or some other unknown error occurs. In the case of Walmart when using Paypal they have a nasty knack of canceling your order after you think it’s gone through. Claims of unverifiable information take place. Plausibly the information in your Walmart account doesn’t match the Paypal account causing them to have a hyper-security fit. This despite the fact you’d need a user name, and password to access said Paypal account to begin with. This ridiculousness could be somewhat akin to using someone else’s credit with their authorization yet the merchant pops a security fit! since Walmart doesn’t appear to have the mechanism nor the time to simultaneously cancel the account at Paypal. Even when you contact Walmart customer service. In addition this so called temporary transaction can’t be disputed in any way with Paypal. A simple order cancellation button would be nice! So if Paypal charged your credit card or checking account on behalf of an incompetent merchant then that money sits there remaining unavailable to you for one week. At the least this is annoying, or perhaps a major inconvenience if you are on a fixed budget. Whatever the issue is with using Paypal at Walmart it would be nice if they’d instruct their customers on what is expected to utilize Paypal as a payment method with them! They certainly don’t seem to inform anyone even after the fact! Walmart can be a great place to take advantage of various deals on products that might be more expensive elsewhere. 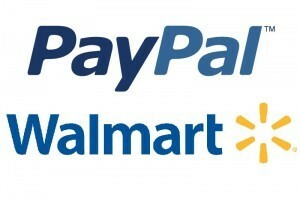 However when shopping at Walmart online avoid using Paypal at all costs! Google to launch Android Pay in Australia next year. This entry was posted in Internet Shopping, Websites and tagged Paypal, Walmart on January 25, 2016 by Admin. This entry was posted in Web Design, Websites and tagged Slow Loading Webpages on July 5, 2014 by Admin. 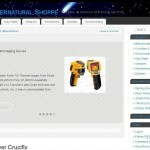 The science fiction supernatural shop domain, and website Supernaturalshoppe.com is for sale at Ebay.com. The starting bid at the posting of this article is only $59.95 yet the Appraised Value is $700. This makes the domain name ideal for resale, and large profits. The website itself is a WordPress blog with Amazon Associate links to earn money with. The premise of the store is defenses against the supernatural but of course you could link to anything supernatural in nature on Amazon.com. You could also utilize the complete one year free Cpanel hosting to install an eCommerce shopping cart if you have your own products to sell. The addition of regular content maintains, and can increase the sites current ranking in the search engines thereby increasing traffic. To bid on this domain name head over here. If you’re reading this past May 22, 2014 then you lost out on profiting from the re-sale of this domain! This entry was posted in Domain Names, Websites and tagged Sci-Fi Domains, Websites For Sale on May 13, 2014 by Admin.